There’s nothing like a good bake for pure comfort. 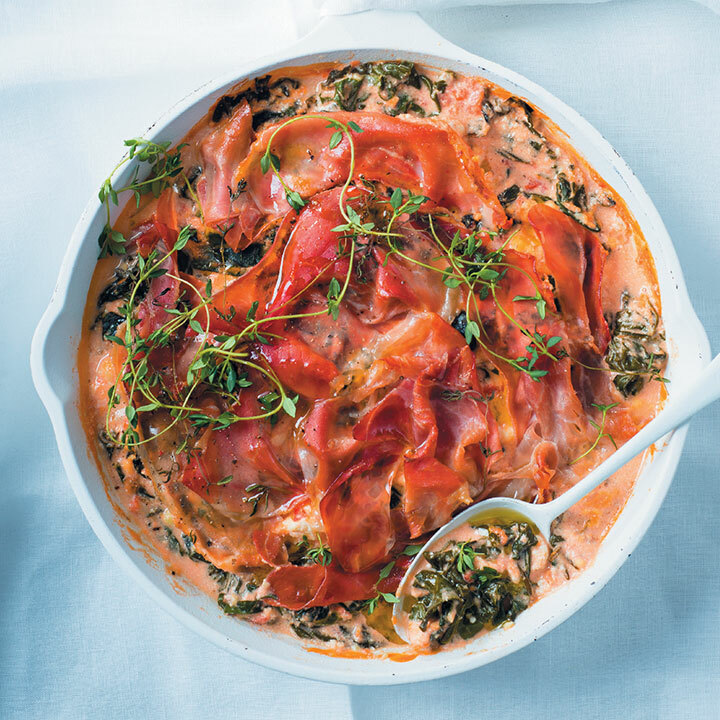 This spinach, feta and ricotta bake with prosciutto is perfect for those nights when you’re feeling like something rich and cheesy. To a large pot, add 1 x 400g tin tomatoes, 1 peeled and minced garlic clove, small handful fresh rosemary leaves, 400g finely chopped spinach and 250ml (1 cup) fresh cream and simmer until the spinach is soft and the flavours have blended, 10 minutes. Remove from heat and stir through 200g crumbled feta and 200g crumbled ricotta. Add half of the spinach mixture to an ovenproof pan or casserole dish, then add a layer of 70g prosciutto. Add the rest of the mixture and top with another 70g prosciutto. Sprinkle with fresh thyme sprigs and bake until the prosciutto topping is crispy, 30 minutes. Serve immediately.